Dog training in the UK is entirely unregulated and anyone, regardless of experience or qualification, can set themselves up as a trainer. How do make sure you choose someone qualified, reputable and ethical and not someone who thinks watching Cesar Milan on the Discovery Channel qualifies him to train your dog? Here are some points to consider before entrusting your dog to someone. What qualifications has your prospective trainer got? What courses have they undertaken? What organisations have they studied with? What CPD do they do? Modern dog training is based on the science of learning theory. Every competent trainer has to have a solid understanding of the science in order to apply it effectively. An educated trainer who undertakes ongoing CPD has probably spent thousands of pounds on their education and, as a result, is very proud of it and publicises it. If your trainer makes no reference to qualifications or their ongoing learning you might want to ask them why? While membership is no guarantee it does indicate a commitment to the profession and, in some cases, a willingness to submit themselves for external assessment. Look out for the IMDT (Institute of Modern Dog Trainers), VSPDT (Victoria Stilwell Positively Dog Training) and the APDT (Assoc of Professional Dog Trainers). All have strict ethical standards and require members to have had their theoretical knowledge & their practical skills assessed; in addition the IMDT requires members to go through a re-assessment process every 2 years. Does your trainer advocate the use of choke chains, prong collars, e-collars, water sprays, rattle cans etc? If so ask them why? A skilled trainer doesn't need to resort to aversive tools to achieve results. 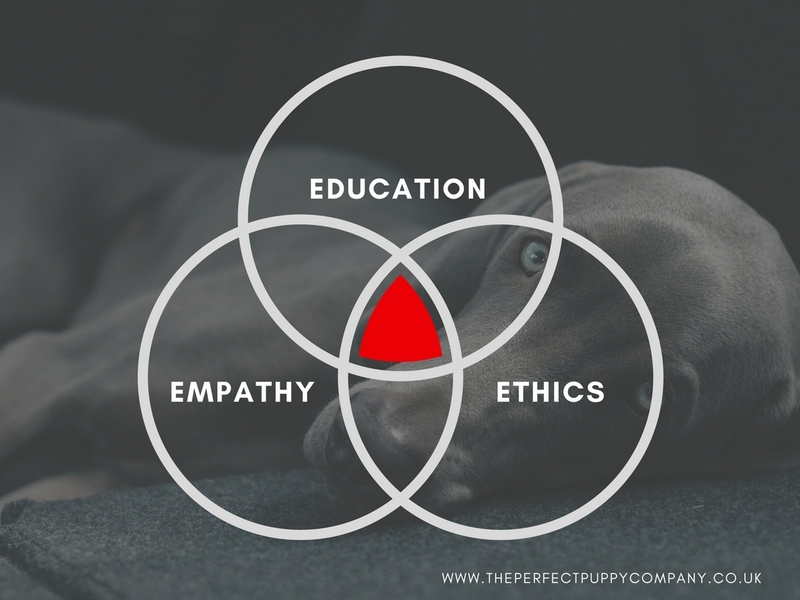 Language like 'dominance', 'pack theory', 'alpha dog', 'balanced', 'corrections', 'bad behaviour' are also red flags and indicate their knowledge is dated and you run the risk that they will do serious psychological damage to your dog. Do they make guarantees? Promise to 'fix the problem' in a short timescale? Two dogs presenting with the same issue may respond differently to training due to their different genetics, learning history and life experiences. One size doesn't fit all. If your trainer talks about positive reinforcement, rewards, ethics, setting the dog up for success, partnership, relationship etc; if they use flat collars, harnesses, long lines, toys and food to train; then you can have confidence that they will treat your dog with kindness and empathy. Do they share details of the training they do with their own dogs? Do the dogs look engaged, happy? Someone who's happy to share their own training and challenges always gets a tick in my book. Never be shy about asking your prospective trainer as many questions as you like. A reputable trainer will be happy to discuss their methods, education, ethics and experience with you. If they're not do you really want them training your dog?